Thank you for making Queenstown the best holiday destination on the planet and we can't wait to tell the world about it! We are excited to announce the upcoming launch of www.queenstownholidays.com which will soon be sharing the fantastic benefits of a Queenstown Holiday around the globe! We want you to be part of promoting 'everything amazing' about Queenstown! Your business is one of the things that makes Queenstown a great place to visit and we would love to have you on board with us to promote 'everything amazing' about Queenstown by having you join our MyQT program. It's FREE for you to connect with our Guests! By being part of our exciting MyQT program, you will gain access to promote your business to all www.queenstownholidays.com guests and it won't cost you anything. Interested? Read all about the program below then sign up... easy! Add your free listing to the www.queenstownholidays.com website today! Supported by 'Fully Serviced' travel centres staffed with professional and skilled Holiday Consultants. The MyQT Benefits Card Program is a unique program connecting holiday makers with local Queenstown suppliers. Every guest that books accommodation through Queenstown Holidays, we receive a MyQT Benefits Card 'FREE OF CHARGE'. We actively promote suppliers and benefits before the traveller has even arrived in Queenstown. Build your brand, and increase traffic to your business by participating as a supplier in the MyQT Member Benefits Program! Best of all - THERE ARE NO FEES OR CHARGES! Placing a listing on the Queenstown Holidays website and participating with a unique MyQT offer is one of the easiest and most sucessful ways of capturing travellers holidaying in Queenstown. A NEW CONCEPT IN TRAVEL, A NEW BRAND OF EXPERIENCE! Whether you are a typical, time-poor family trying to organise an affordable holiday, an anxious resort manager trying to fill rooms year-round or a passionate professional wanting to work at the cutting edge of the travel industry, one company stands out simply because there is no other like it. 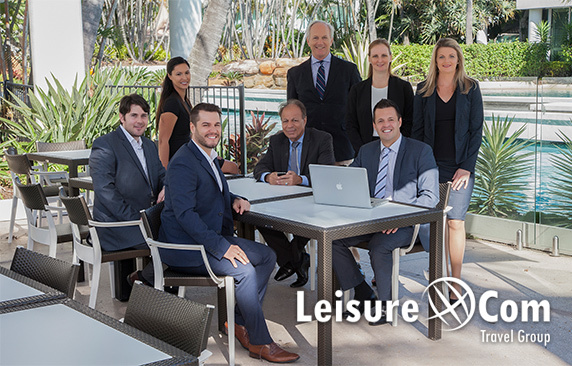 The brainchild of sleepless passion and unbending belief in a better way, LeisureCom is already re-defining what today’s travel customer – and today’s property manager - expect of a 21st Century travel specialist. Driven by innovation and insight, LeisureCom has been designed to deliver a uniquely-empowering, fantastic experience at every turn and touch-point of its business. Its audacious and all-consuming vision is nothing less than to "become a household word in travel and holidays." Already LeisureCom boasts over 50,000 property partners worldwide. Already it has built over 1000 property partnerships across Australia and New Zealand. Already it attracts over a million visitors to its websites every year. And already it has created its own exclusive clubs and loyalty programs with over a million members. At the heart of LeisureCom’s success is an industry-unique business strategy woven from the wisdom and wizardry of two seemingly opposing worlds – the service-centred past and the online-oriented future. The result is a company and a culture uniquely positioned to provide its rapidly-increasing customer base and its fast-growing alliance of global property partners, with the very best of both.